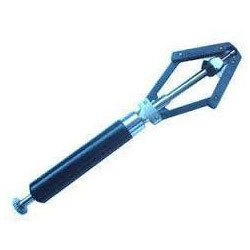 Fostered with rich industry experience and a highly experienced team of professionals, we are manufacturing and supplying Hand Remover Plunger Type. - To avoid damage to the watch dial. We feel immensely pleased to manufacture, export and supply our clients an exclusive gamut of Hand Remover Plunger. 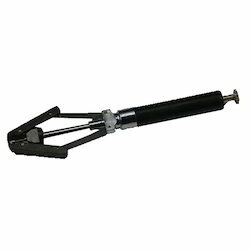 We are engaged in offering Hand Remover Plunger Type for holding tweezers. Fabricated using Stainless Steel, the Hand Remover Plunger Type offered by us are high on demand in the national and international markets. Clients can avail the same at most reasonable prices and in different sizes. Description: Screw pressure forces the hand away from the post without damaging, It does not touch the dial or the rest of the mechanism, Also used for pulling small gears and wheels, Overall height of screw and post measures 1 1/4" (32 mm), Post measures 7 1/16"
The watch hand remover plunger offered by us is fabricated from graded material using advanced techniques. This is a quick acting tool used for removing all types of hands from watches. Our range is widely demanded for its sturdy construction, high strength and durability. We provide these tools in different specifications to meet the diverse requirements of clients. We are instrumental in offering our clients with premium quality Hands Remover Plunger Type that is required for mending and repairing watches. This is designed as per advanced mechanism in order to enhance the performance and can be easily lubricated, when required. We manufacture this plunger using superlative raw material to ensure durability.